Villagers could only watch as the fire rages on. SIBU: A total of 73 people from nine families were made homeless when seven wooden houses in Kampung Bahru here were destroyed in a fire yesterday. 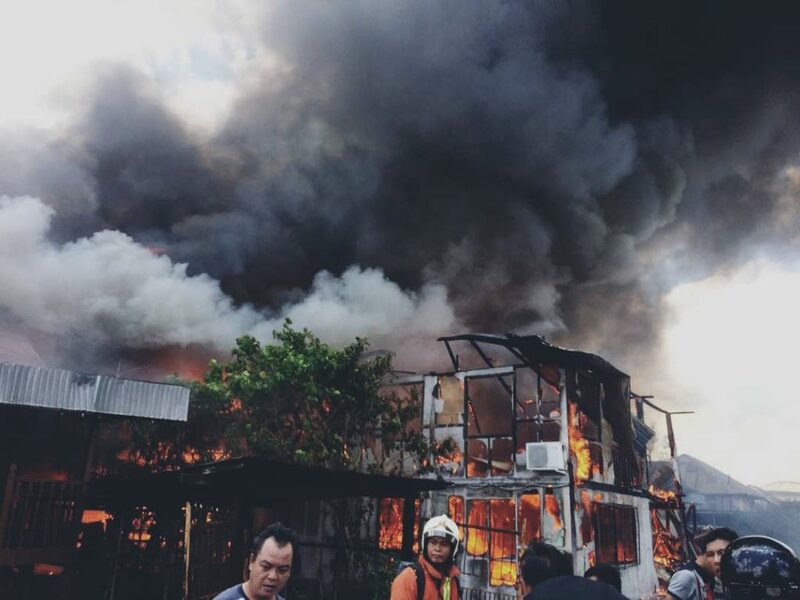 Central Zone Bomba acting chief, Wan Kamaruddin, said four of the houses were completely burned while the other three about 70 to 80 per cent. He said due to the hot weather and strong wind, the fire which started from one of the houses quickly spread to the adjacent houses. “We received a distress call at 12.07pm and immediately dispatched 25 firemen to the scene. “However due to the hot weather and strong wind, we have only managed to control the flame in 40 minutes,” he added. On the cause of the fire, he said the department would be sending a forensic expert to conduct an investigation. 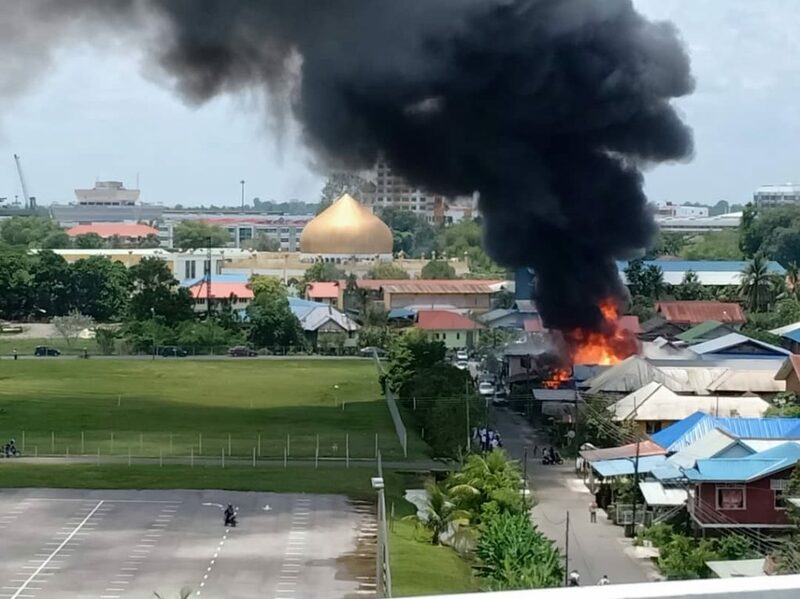 The last big fire in Kampung Hilir, which is near Kampung Bahru, was in July 2013 where more than 10 houses were completely burned down. The fire at its height as seen from a high angle. Nine families left homeless from fire 0 out of 5 based on 0 ratings. 0 user reviews.